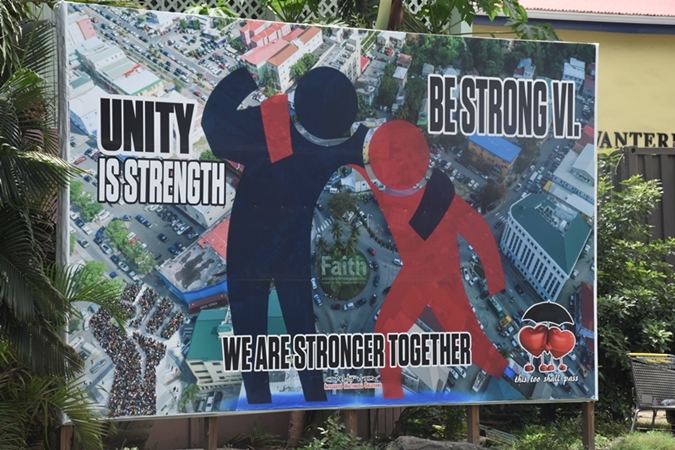 In light of a tropical wave that ravaged sections of the territory this month, a billboard has been erected near the roundabout in Road Town encouraging unity among residents. “Be strong VI. We are stronger together,” the sign reads, stating further that unity is strength. The message remains displayed for all persons traversing the territory’s capital to see. August to November are considered peak months for heavy rainfall, tropical storm, and hurricane activity. The Department of Disaster Management has been urging residents to be vigilant and prepared.